Sign on Front Lawn of Town Hall Now Reads “Hauntington Town Hall” in Orange and Black. 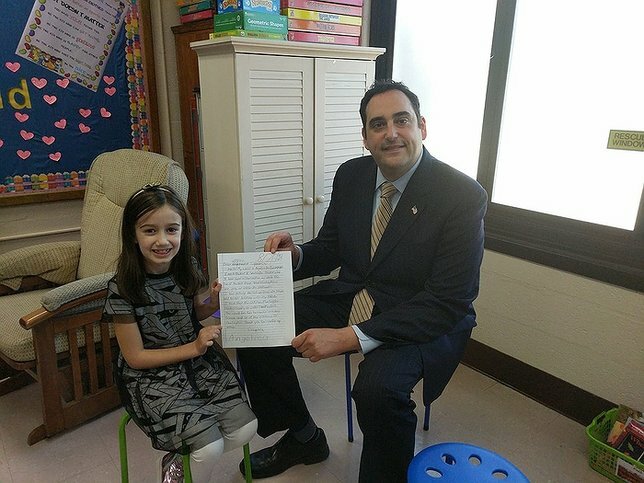 Huntington Station, NY - October 31, 2018 - Supervisor Chad A. Lupinacci visited 7-year-old student Angelica Dee Cunningham, whose letter to the Supervisor inspired the renaming of the Town to “Hauntington” in the spirit of Halloween, in front of her classmates at Washington Primary School on Tuesday, October 30. As of Wednesday morning, October 31, 2018, the sign for Town Hall displays “Hauntington Town Hall” in orange and black for Halloween. 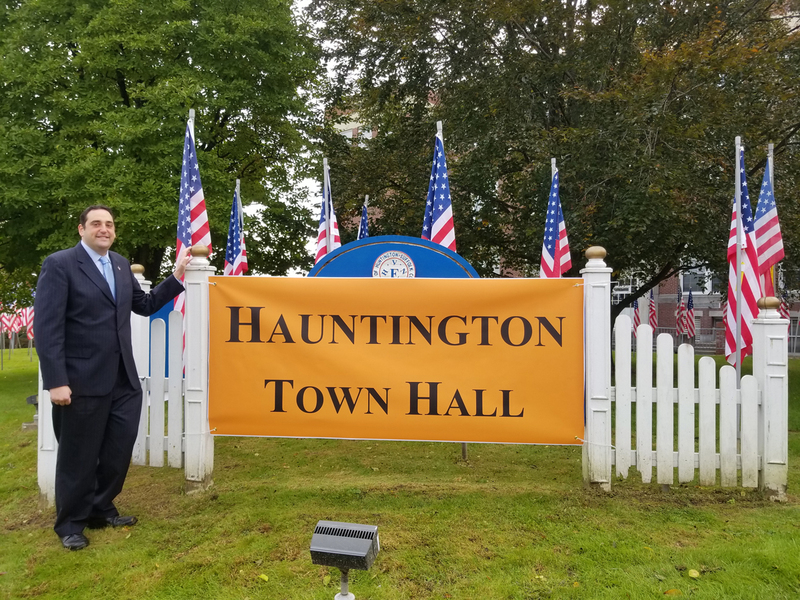 The Town Board ceremoniously renamed the Town of Huntington the Town of Hauntington for Halloween on October 31, 2018, at the suggestion of Angelica Dee Cunningham in a letter dated August 26, 2018, addressed to Supervisor Chad A. Lupinacci. Subject: LongIsland.com - Your Name sent you Article details of "Lupinacci Visits 7-Year-Old Who Inspired Town’s “Hauntington” Name Change, Sign at Town Hall Changes for Halloween"